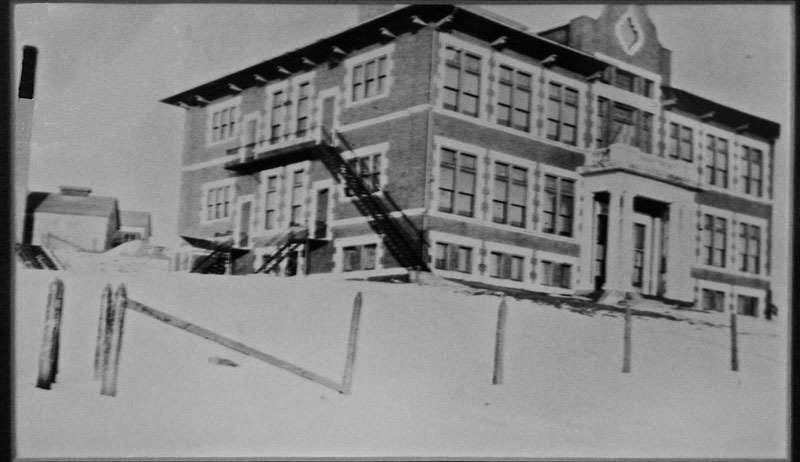 The former E.L.Wright Elementary School, on North Lincoln Drive, recently celebrated it’s 100th Anniversary. 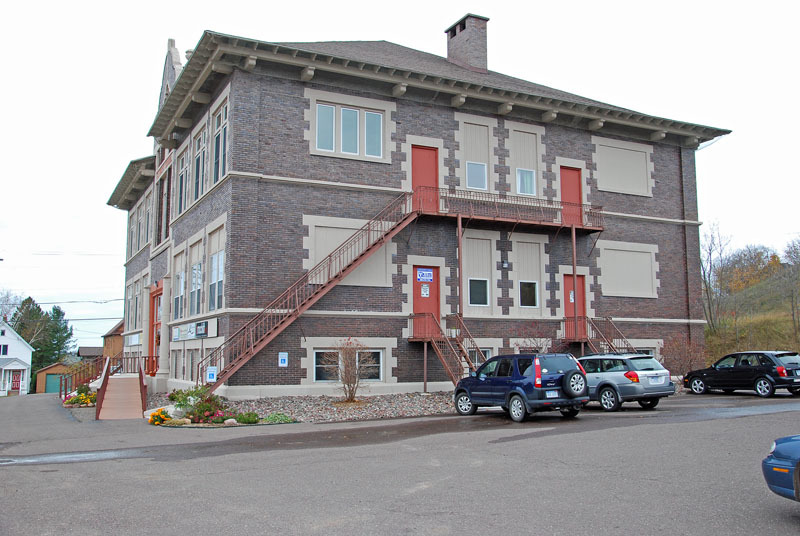 The building was constructed and opened in 1910. This photo appears to have been taken in the early 1910's, during the winter. [ Photo courtesy-E.L.Wright Bldg.]. 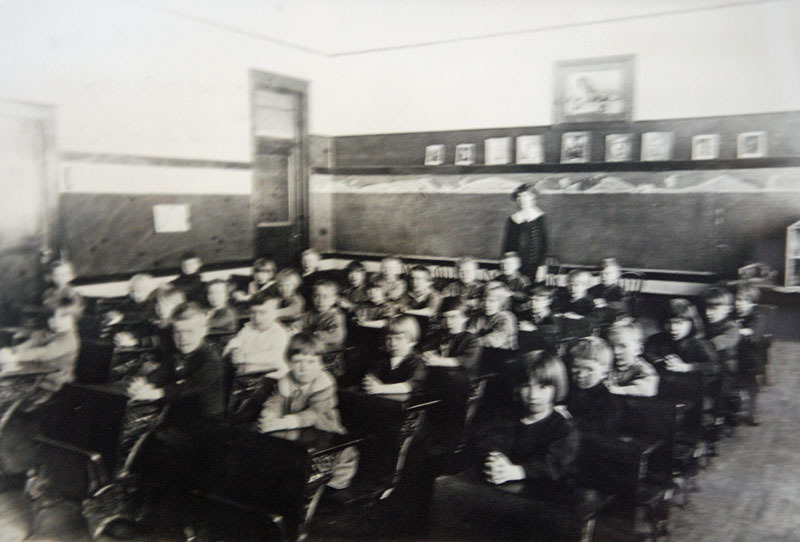 This classroom photo was likely taken about the same period. [Photo courtesy-E.L.Wright Bldg.]. View from the East of the current renovation. This view faces N. Lincoln Drive. 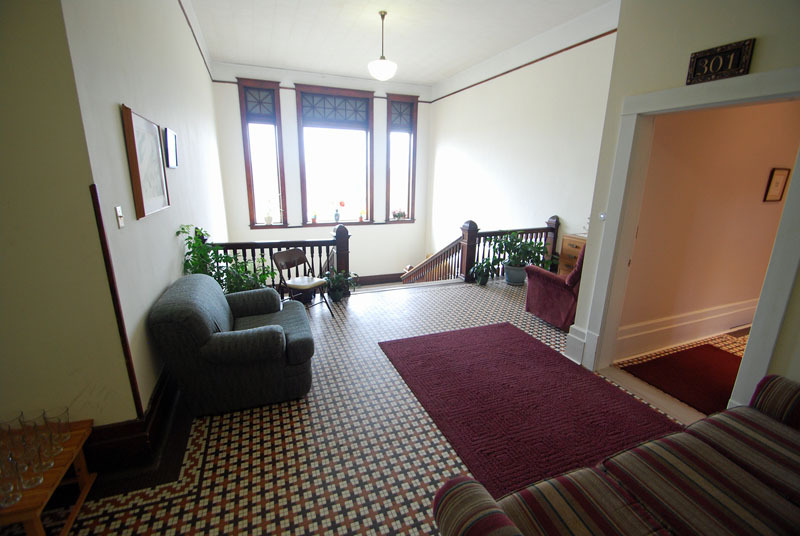 This inside view is from main floor lobby, looking towards entrance and stairway to second floor. 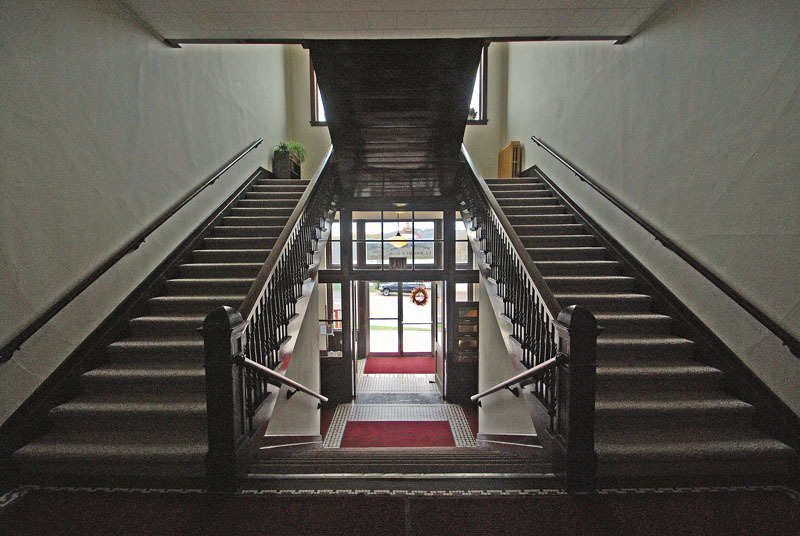 The second floor lobby of the E.L.Wright Building. The building now houses various commercial enterprises, and a private residence. (PREVIOUSLY....) The Canadian ship, Candian Progress, 730 feet in length, brought in the annual salt shipment to the Mattila Dock in Hancock. The shipment, about 20,000 tons, will supply the Western U.P. 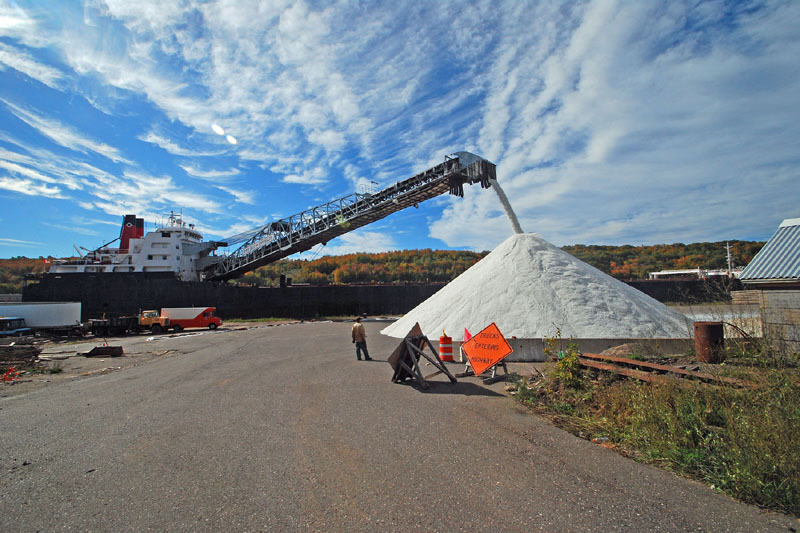 road commissions with highway salt for the coming winter months. This will be the only shipment this fall. The somewhat lighter than normal winter last season, left most agencies with surplus salt. 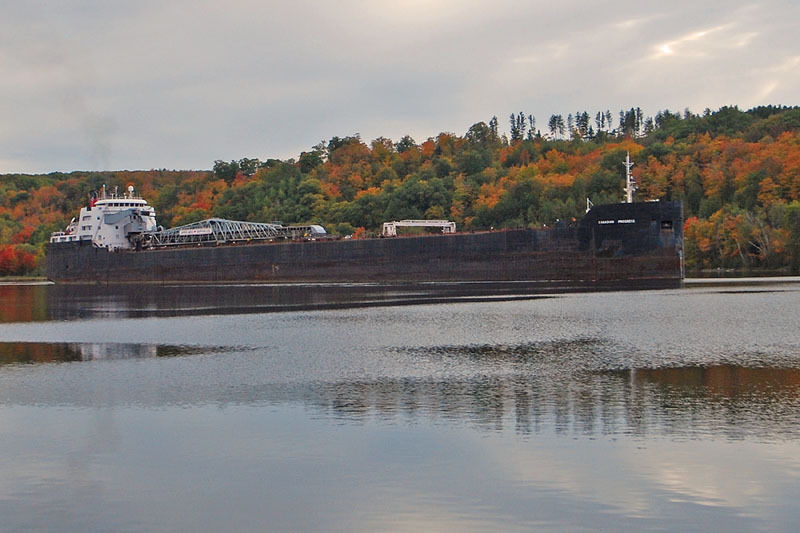 Here, she is passing opposite the Hancock Beach & Recreation Area in the Keweenaw Waterway, en route north to the ‘Big Lake’, Lake Superior, as the leaves turn to the autumn colors. 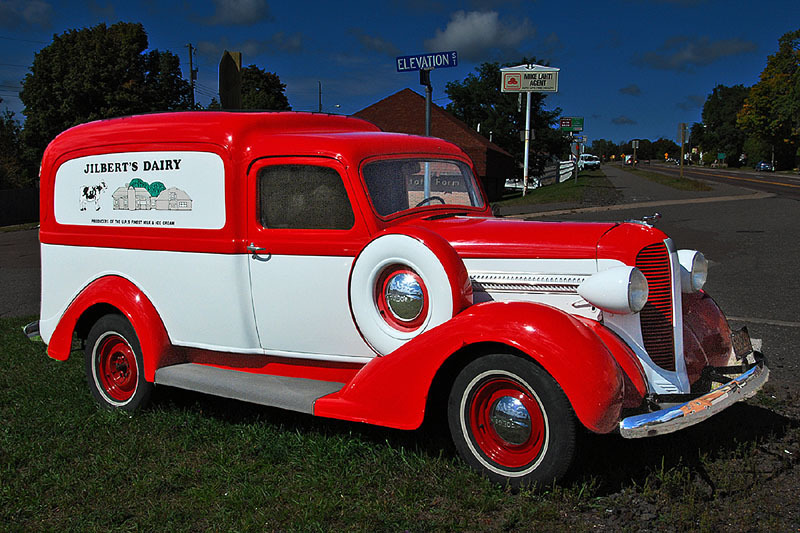 This nicely restored Dodge panel delivery truck is owned and displayed around the area by Jilbert’s Dairy, Inc. It was located for a while on S. Lincoln Drive in Hancock. It was made in the later 1930s. 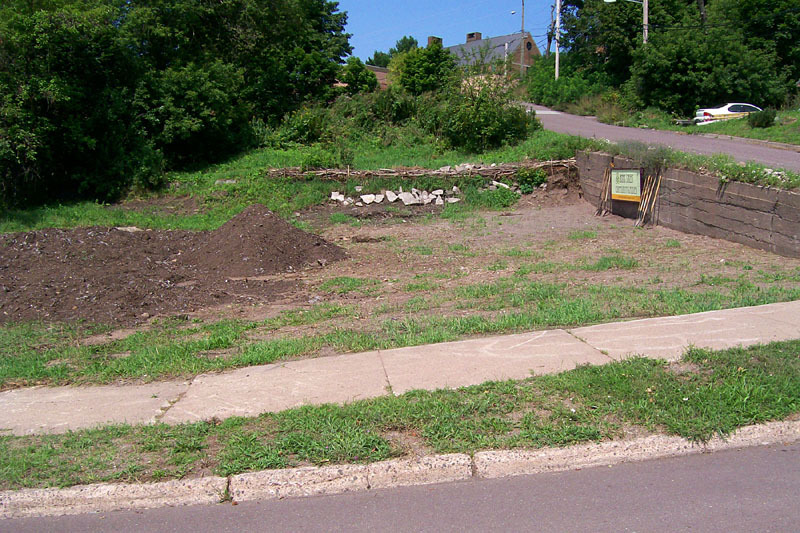 A new Community produce garden is under construction. 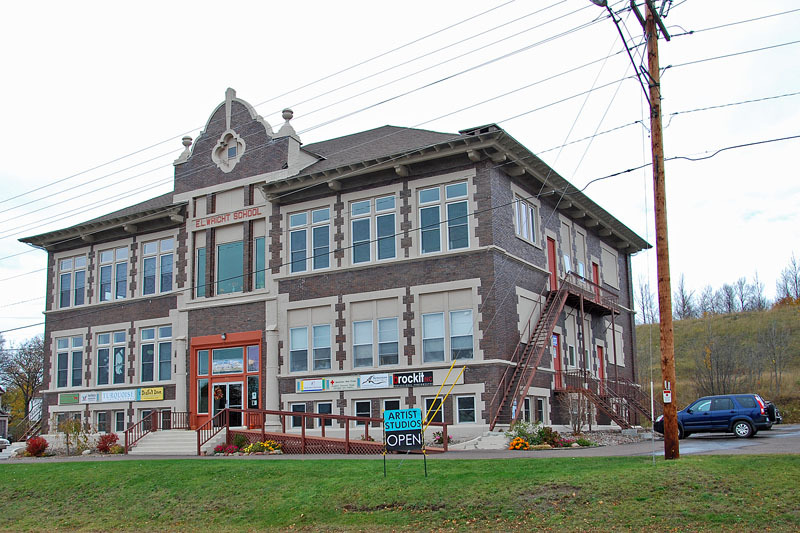 The new site is located at the corner of Ryan and Road Streets, and was made possible by the demolition of an older home used for student housing, and the foresight of Finlandia University. 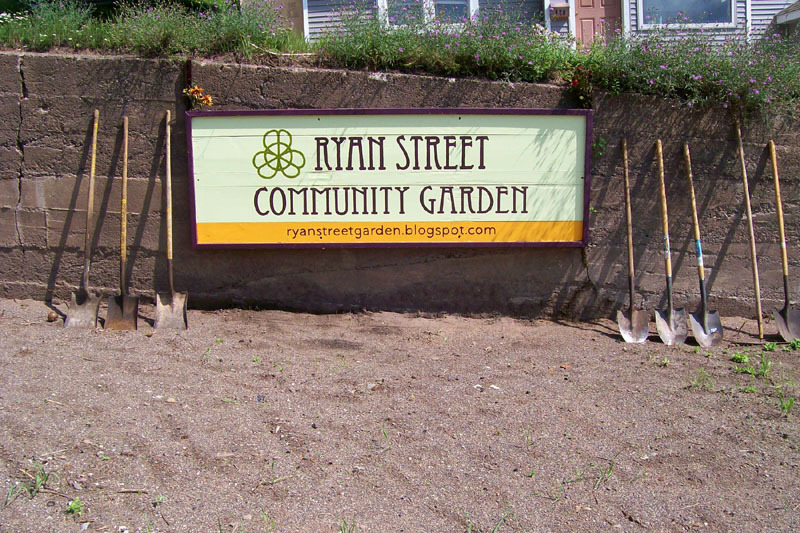 The sign, and the donated shovels spell out the volunteer effort that a Community garden requires. More site work will be done before next planting season. 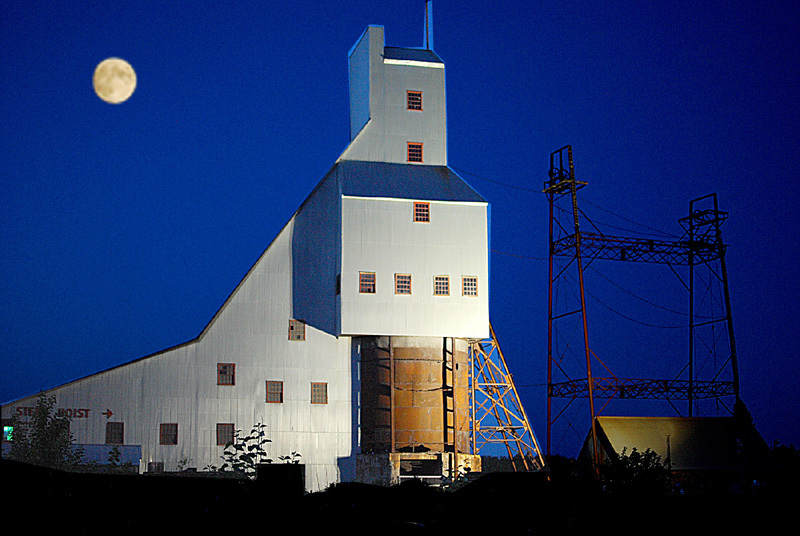 The Quincy Mine Hoist Association in late July, began a pilot program to light up the Quincy Mine Shafthouse at night. Initially, it will be for the weekends. The first night turned out to be a beautiful clear night, with a gigantic harvest moon out. 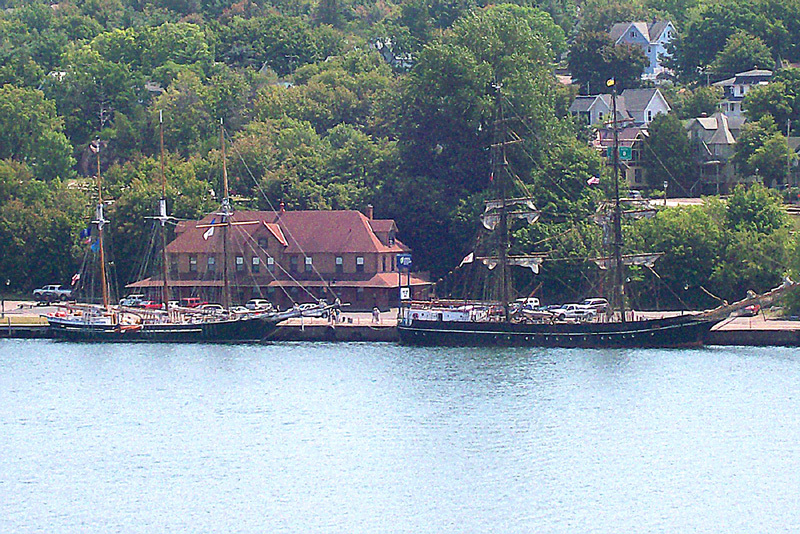 The Brig Roald Amundsen (right), out of Eckernförde, Germany, became the second Tall Ship to visit Hancock/Houghton over the fourth weekend in July, joining the Schooner Denis Sullivan (left). 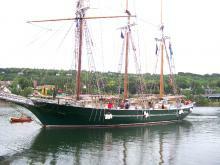 She is 164 ft. in length, and serves as a training ship. 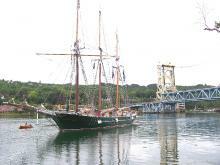 This is the first time two Tall Ships have visited together. 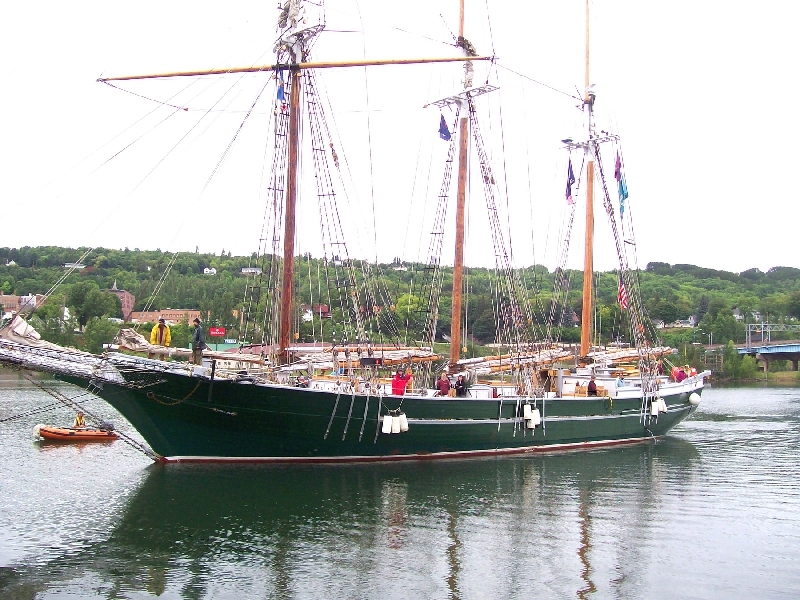 The Schooner Denis Sullivan, from Milwaukee, WI, stopped into the Keweenaw again this summer, this time enroute to Duluth, MN for the Tall Ships program in August. 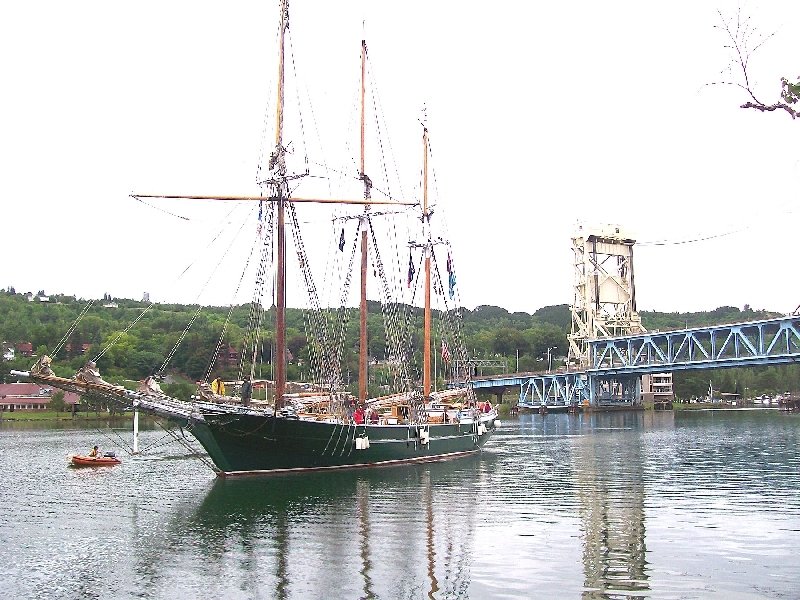 At 137 ft. in length, she carries ecology students and teachers throughout the Great Lakes during the season, then winters in Florida waters. 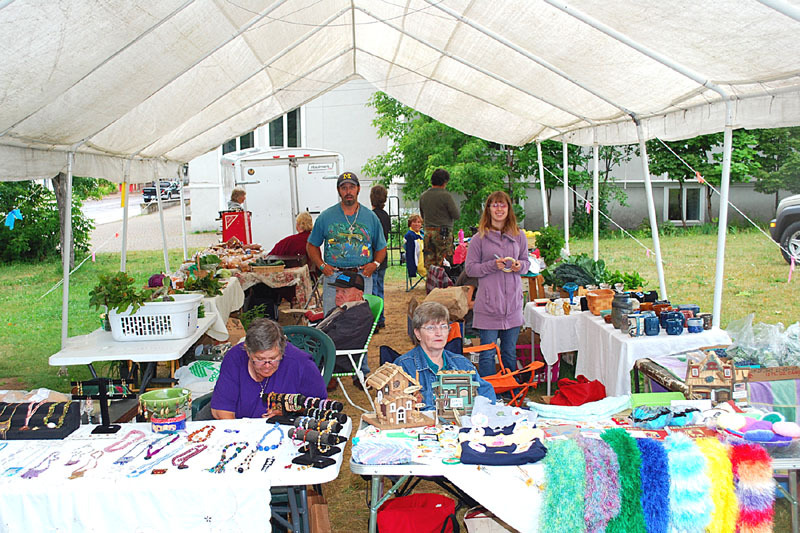 This year’s Tori Market, in Hancock, moved from Montezuma Park, some 1 block north, to the former Middle School front lawn, where there is more space, and better parking, and is on Quincy Street for better visibility. 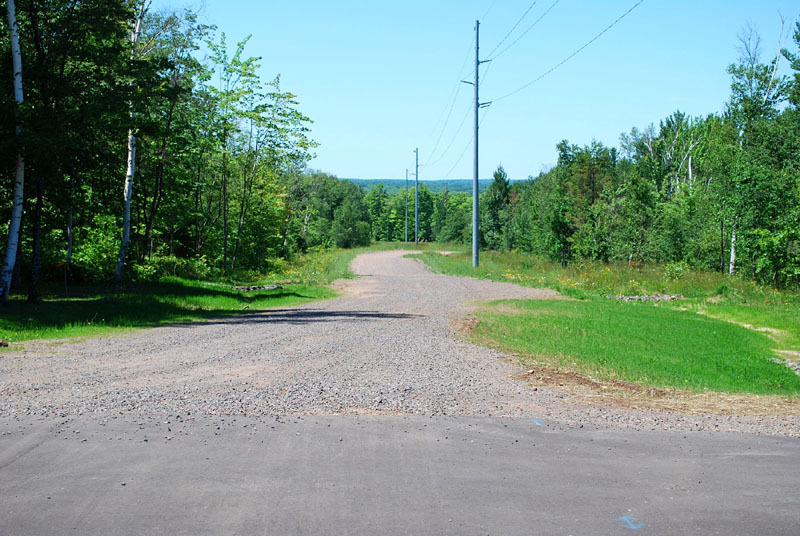 Campus Drive was extended one block west this summer, from Elevation Street, to Poplar Street, along UPPCO’s High Voltage transmission line route. Brushing and layout work began in April. 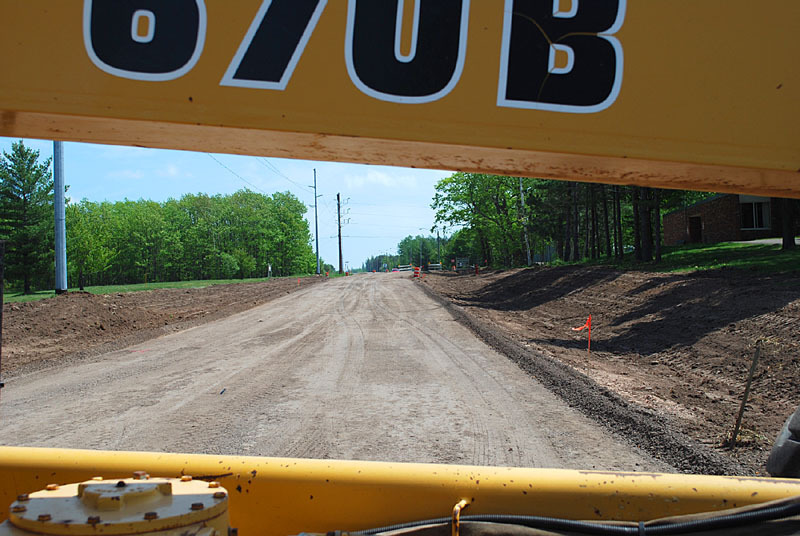 In May, surface and under pavement work was completed, as shown through a grader parked to block traffic until paving is done (looking East, from Poplar St.). 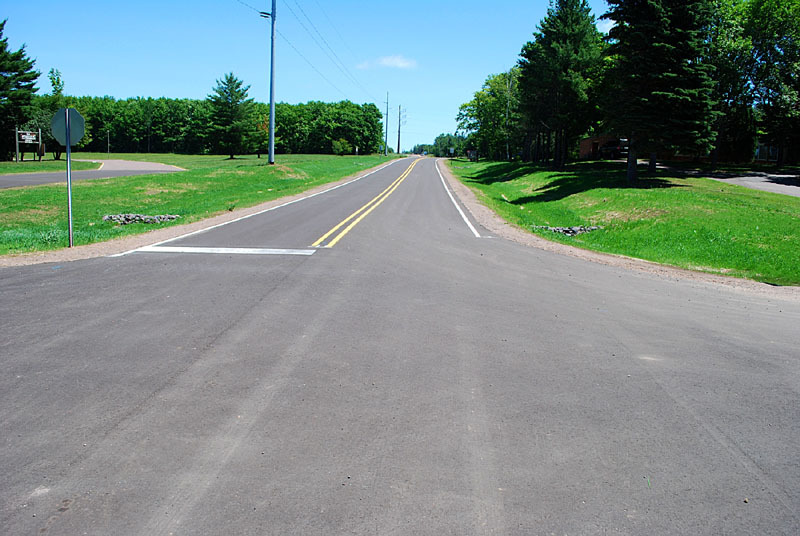 By mid June, blacktopping and line painting brought completion to the project, and the opening of the new block of Campus Drive to traffic. 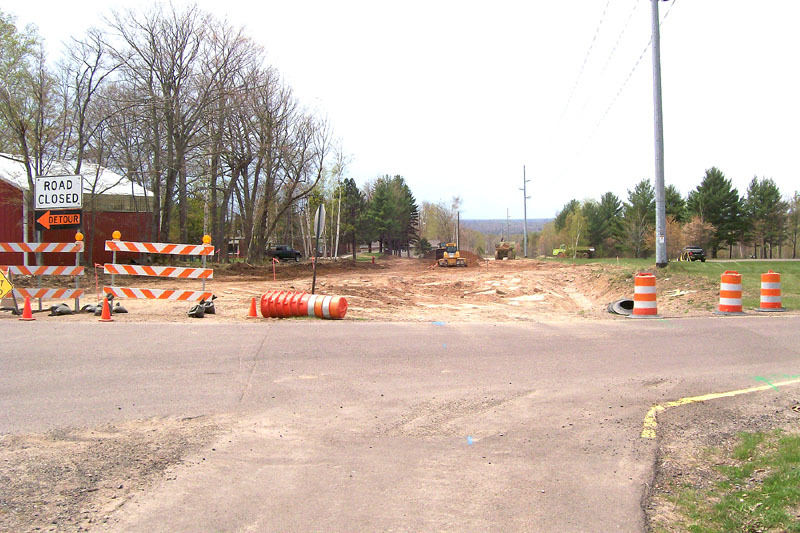 Looking west from Poplar Street, shows the next phase of the Campus Drive project, which in the next 2-4 years, hopefully, will further extend Campus Drive to Birch St., and the Driving Park/County Fairgrounds.